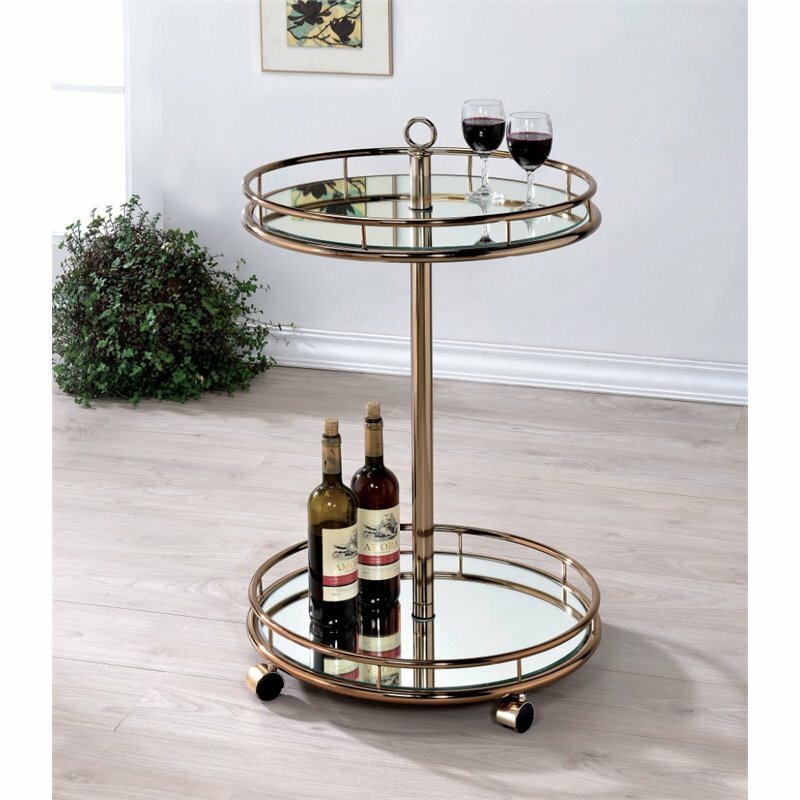 Luxuriously house wine bottles and glasses on sleek mirrored shelving while Champagne finished guard rails ensure that items rest securely on the distinguished Bar Cart. A single central beam steadily supports the top with its solid metal construction as four caster wheels give the piece complete mobility. 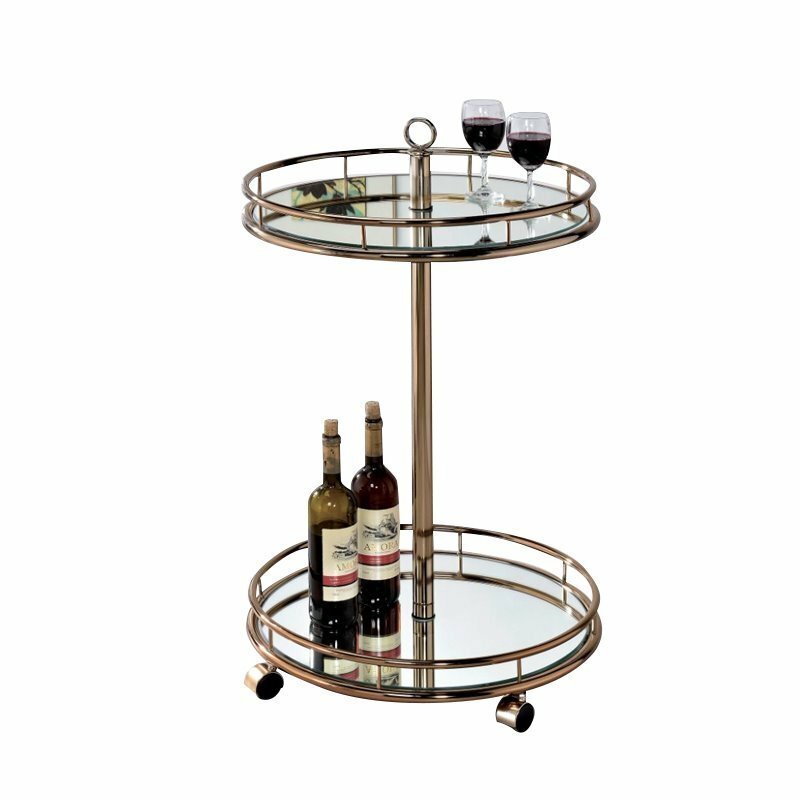 Perfectly accentuate your living room, dining room or kitchen with the Modern style and sophistication of the Bar Cart. You and your guests will be sure to notice its elegant aesthetic.